Weekly Grocery Store Deals and Turkey Talk! Every Saturday morning before the Delly’s Deals radio show I will be posting the weekly grocery store deals. Many of you do your shopping on the weekends, so I thought that Saturday mornings would be a great time to post them. Click below to see most of the deals from Food Lion, Harris Teeter or Lowes Foods. Remember, these deals last through Tuesday night! Southern Savers does a great job of posting the deals, and you can even click the boxes of what you want to make a printable shopping list. Today, Harris Teeter is running a Saturday special on Clorox Bleach that I like. If you are an EVIC member, you can get up to two 96 ounce jugs for $.97 each. This is already a great price, but it gets better if you have a coupon. Click here to print a $.25 off coupon (this will double to $.50 off) that makes the bleach only $.47 each! Even if you don’t need any bleach right now, I would definitely go ahead and get some at this price so that you have it for later. You can only get this deal today, so be sure to grab it! Thanksgiving is less than two weeks away, so time is running out to get your turkey. I noticed that all three grocery stores are having sales and the prices vary widely. The sales below are going on through Tuesday night. 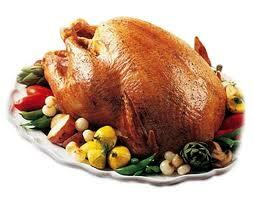 The best deal on a turkey is definitely at Harris Teeter- get your turkey for only $.47 per pound. Keep in mind that you can only get this great deal if you spend at least $40 in the store, which should be easy if you’re doing your weekly shopping there. You might also want to go ahead and get your other items for Thanksgiving such as your canned veggies. This week, Harris Teeter has Del Monte Canned Veggies on sale for buy 2 get 3 free and you can get up to ten cans at this price. 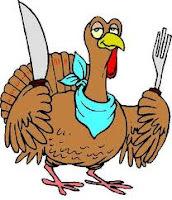 Normally turkeys cost between $1.19-$1.50 per pound, so those are truly some great deals. Clearly Harris Teeter is the turkey winner by far! Their turkeys are $.30 per pound less than at Lowes Foods. On a 10 pound turkey, this would equate to $3.00 worth of savings. On a 20 pound turkey this would equate to $6.00 in savings. Keep in mind though, that if you want to get that price, you have to spend money in the store, so on a basis of where you’d have to spend the least to get the special price, Lowes Foods wins, since you only have to spend $25 to get the $.77 per pound price. Check in with me here tomorrow morning for my weekly Star News versus News and Observer article. Have a great Saturday!